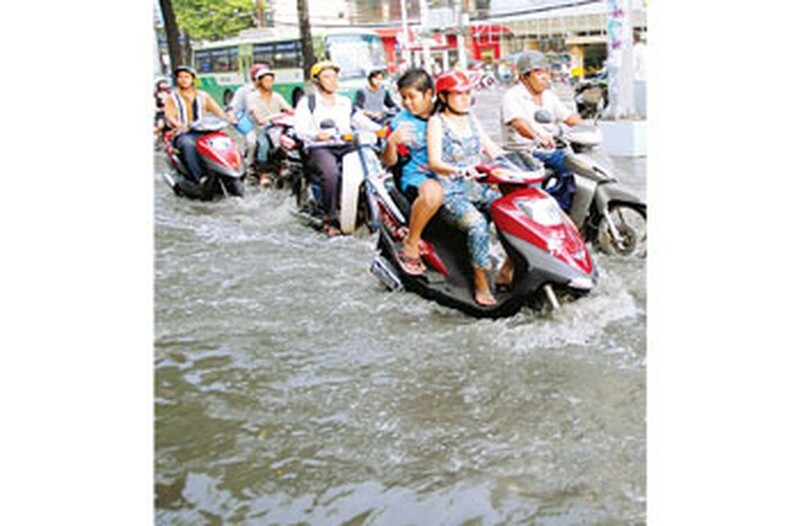 Vehicles “swam” across flooded streets after the heavy rainfall of July 12 in Ho Chi Minh City. Many roads including Hong Bang, Chau Van Liem, Le Tuan Mau, Le Dinh Tham, Go Dau, Luy Ban Bich, Nguyen Cuu Dam and more in districts 5, 6, Tan Binh and Tan Phu became flooded, leading to traffic jams. Kinh Duong Vuong Street suffered severe flooding of over 50-cm. depth. Many motorbikes suffered engine failure due to water levels. The heavy rain on July 12 caused more than 20 flooding areas in districts 5, 6,10, 11, Binh Tan, Tan Phu and Binh Chanh districts with a rainfall exceeding 50 mm. 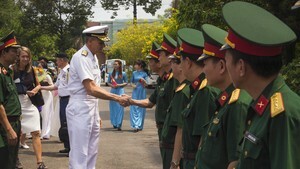 According to the city’s Center for Flood Prevention’s report, sewers installed beneath Chau Van Liem, Minh Phung, Pham Dinh Ho and Nguyen Van Luong streets are not yet connected to drainage systems, causing floods. Many flood prevention projects in the city such as the Nhieu Loc-Thi Nghe Basin's environment clean-up project, the East-West Highway and Water Environment project have jammed flows, which have worsened inner city flooding on rainy days and more places would be vulnerable to heavy inundation, the Center for Flood Prevention warned. According to the Hydrography Meteor Forecast National Center, the first typhoon, called Conson, due to hit the country this year is forming off the coast of the Philippines. The eye of the storm is about 580km east of the Philippines. The wind speeds within the storm has been measured between level 8 and 10. The typhoon will move west and north-west at a speed of 20km/hr and its direction could change suddenly, striking the land. Deputy Director of the Hydrography Meteor Forecast National Center Le Thanh Hai ordered all boats in the north of the East Sea to take shelter in avoidance of the typhoon.